4th, 5th & 6th days at sea. The wind went round to the south and we were off. We got the engine off at 20.00 last night and have been sailing since. We spent the night rolling around in a moderate sea and everyone was tired on the net this morning. 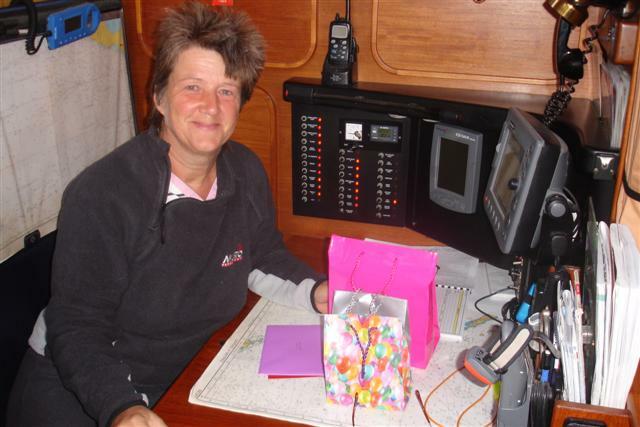 Today was my birthday and although Bill had very sweetly hidden a couple of little presents for me, it wasn’t much of a birthday. I even had to get up earlier than my usual watch time because Bill wasn’t feeling well. Never mind, we’ll save the celebrations for when we get in. Bad hair day!! We’ve changed our destination to the north Minerva reef. 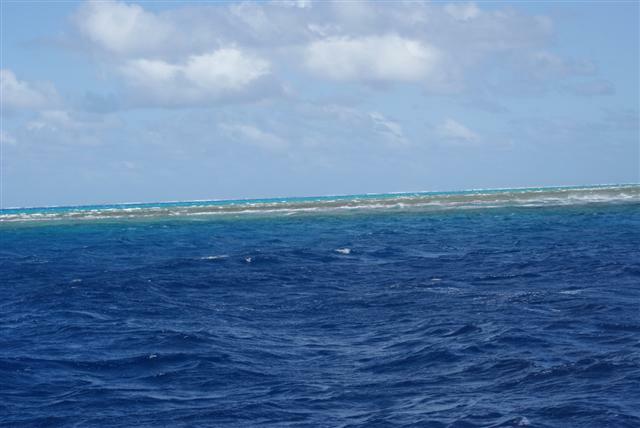 These are 2 reefs in the middle of nowhere which are quite a popular stop off points on a passage from NZ. It will be nice to have a bit of a rest. The wind is now blowing F6 south easterlies – classic trade winds. We’ve got 2 reefs in the main and a scrap of genny out and still doing 6-7kts surfing down the waves. The swell has increased to 4metres which is quite alarming when you’re watching it from the cockpit. All the hatches are closed as we are getting rogue waves coming into the cockpit. 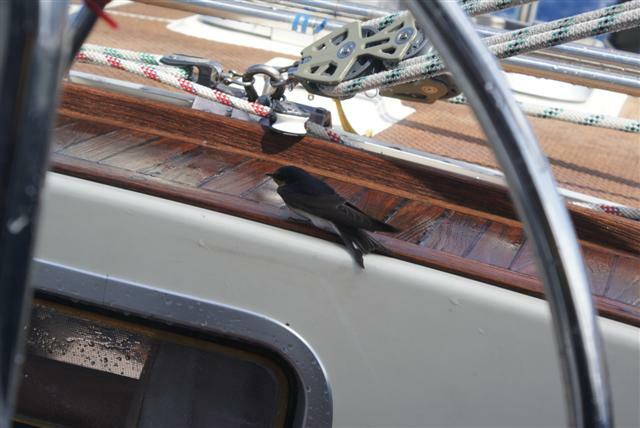 In the midst of all this a little swift flew in, sat inside the cockpit cover, preened itself, pooped on the deck and flew off. The skipper was not impressed.